How can you tell, how can you tell? It goes round and round, no end can be found. Shapes are meaningful to young children as all objects are made of different shapes. Shapes activities can help pre-schoolers develop problem solving skills. 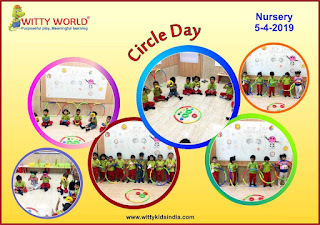 There are many ways to encourage and help children to learn about shapes.On Friday, 5th April 2019, the little toddlers of Nursery at Witty World, Udaipur were introduced to 'Circle Shape'. 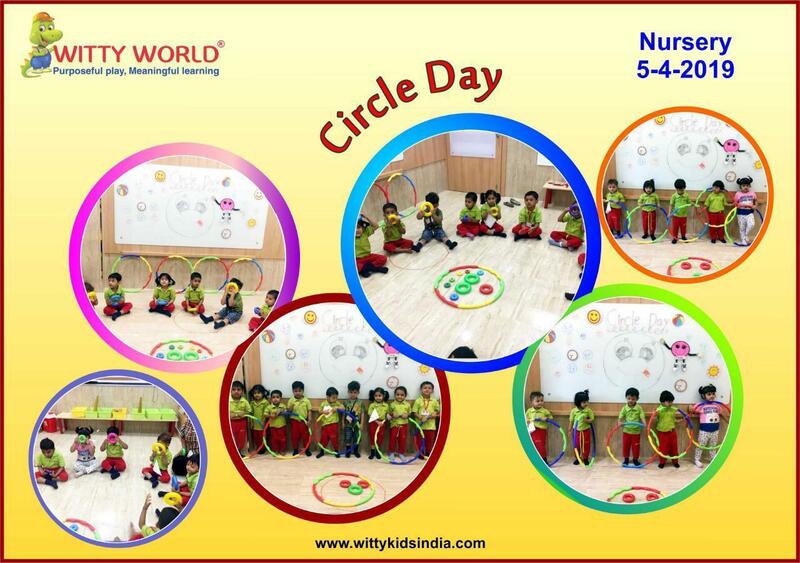 The class was decorated with circular objects. They enjoyed listening to the circle story and were also shown circle shaped objects. They enjoyed walking on the circle outline and placing beads on it. They enjoyed eating circle shaped snacks brought by them in their tiffin box. It was a fun frolic day for the little toddlers.